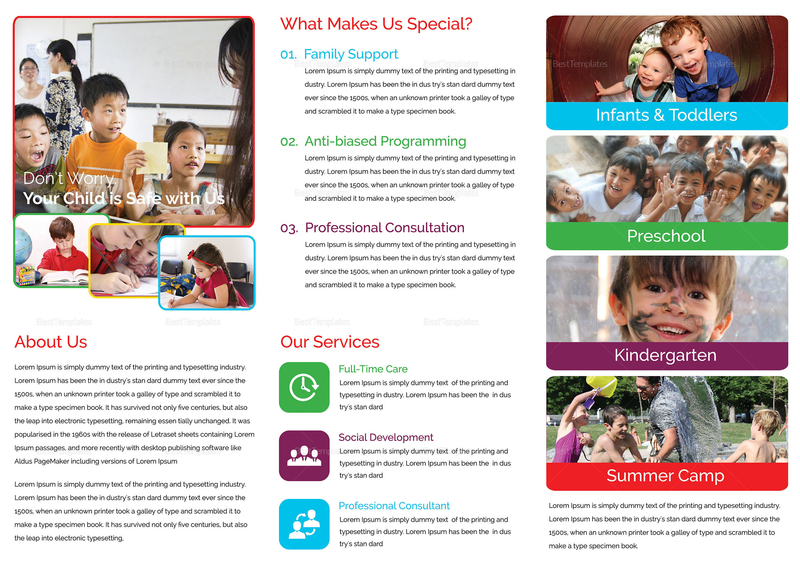 Download this Tri-fold Child Care Brochure and customize services, camps, and offers easily. Edit it in MS Word, Publisher or Photoshop. 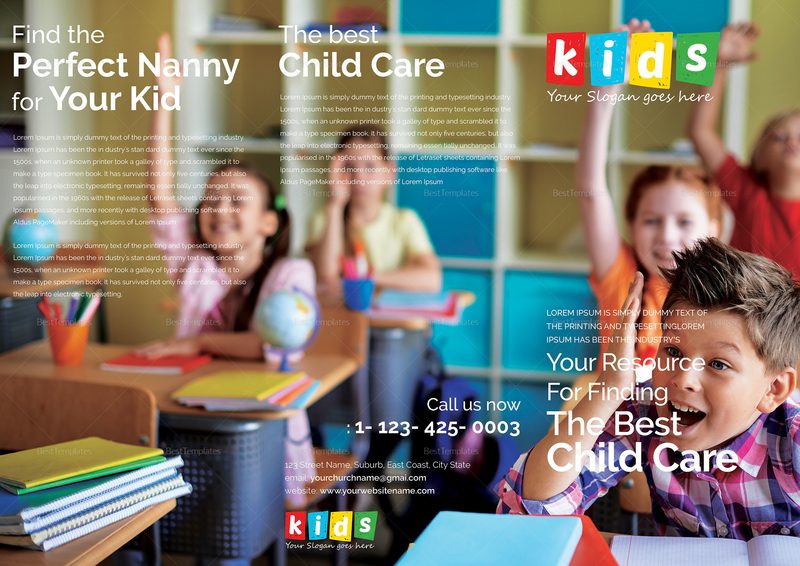 Replace/change the content and images to help promote your business. 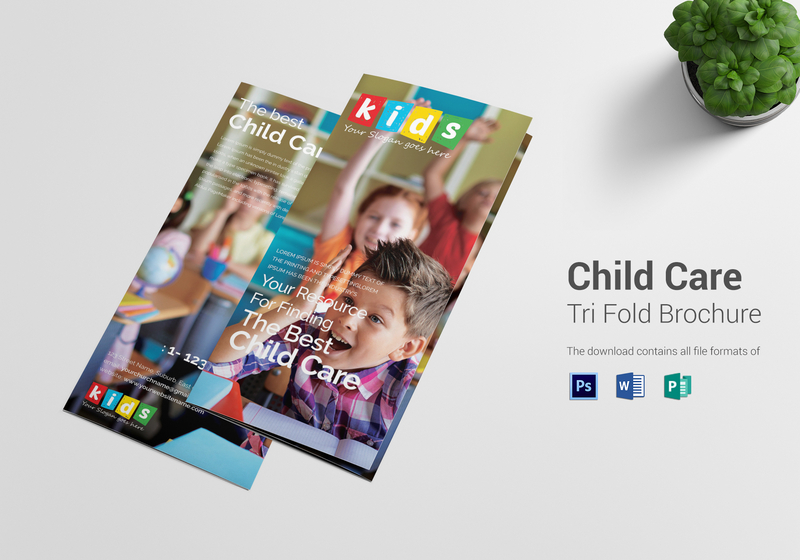 Get your brochure print ready in high quality within minutes.